In a slightly more ideal wold, if you loved richer colors and slightly more sophisticated lighting effects then AMD would always be your choice. If FPS was paramount then you'd go Nvidia. Unfortunately, Nvidia's generous payola and the developer's desire to present the smoothest-running trailers will always give Nvidia an a leg up. Games are written to take full advantage of Nvidia's architecture and little effort is put towards optimizing code for AMD. Its a shame that Civ6 looks to be more of the same garbage as Civ5, but at least it may actually run smoothly for Radeon users. DAOWAce, crocography and darkzelda like this. It's great that they are spending development time on parallelizing graphics processing, but that really hasn't been the biggest issue with Civ games in the past. Civ games in the past haven't been very graphically demanding, and from the looks of Civ 6, although it looks great, I don't think it will be very graphically demanding relative to this generation or even last generation of games and computer hardware. My point is, this is great and all, but it seems like all the attention is being put on something that isn't even close to the biggest performance bottleneck. 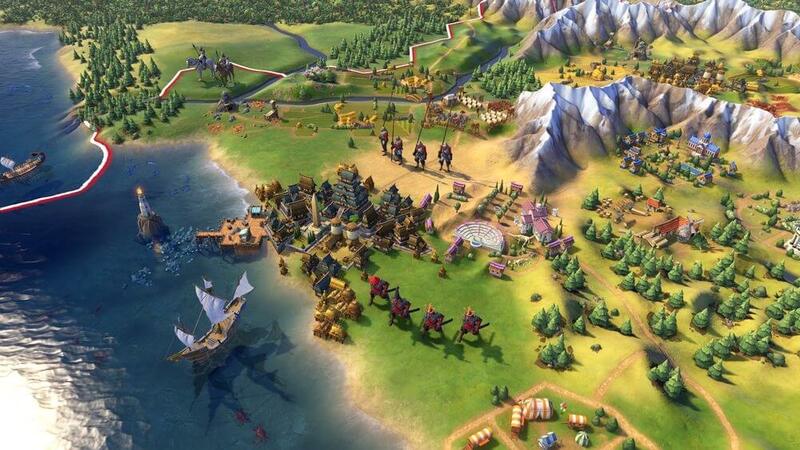 The biggest, most noticeable slow-down in Civ games is processing the AI turns. This is especially evident when playing with a large number of AI and city-states, or large maps in general; and further compounded when doing this multiplayer. I understand that it is difficult to fully parallelize the AI in a turn based game that is inherently managed serially. I just hope they are doing something to address this issue. Otherwise, the other performance enhancements seem all for naught. Please excuse the hyperbole, but it's like putting new paint on a car that barely runs. Is it normal to announce stuff like this as news? I was under the impressions that any major gaming company can get help from nvidia/amd to build their games. Is it news because there are signs AMD is making an effort? Or is it because Firaxis is making an effort? I'll wait for benchmarks. Additionally, isn't it better to keep information like this quiet? To compound it further, civ v's AI was far from intelligent, often destroying themselves through the banning of luxury resources that results in their empire being severely unhappy. This is something the creators once said was "supposed to make the game harder" but instead was annoying. there was also the issue of the AI not understanding how the economy works. How I can have +600 gold per turn, but the next closest AI has 20 gold and +11 per turn, even though I have a larger military, is beyond me. And dont get me started on how badly the AI fights. Terrain, tactics, support units? Whats that? I wonder what they are spending all that time processing. At least DX12 helps with cpu bottlenecks, so it might speed up turn times a bit. Yeah, very nice that 2016 games have DX12 support ... now, does it will have Vulkan support? Civ 6 is "hotly anticipated"? Last I checked, it was another rehash of Civ 5 which will be as awful as Beyond Earth, if not worse.